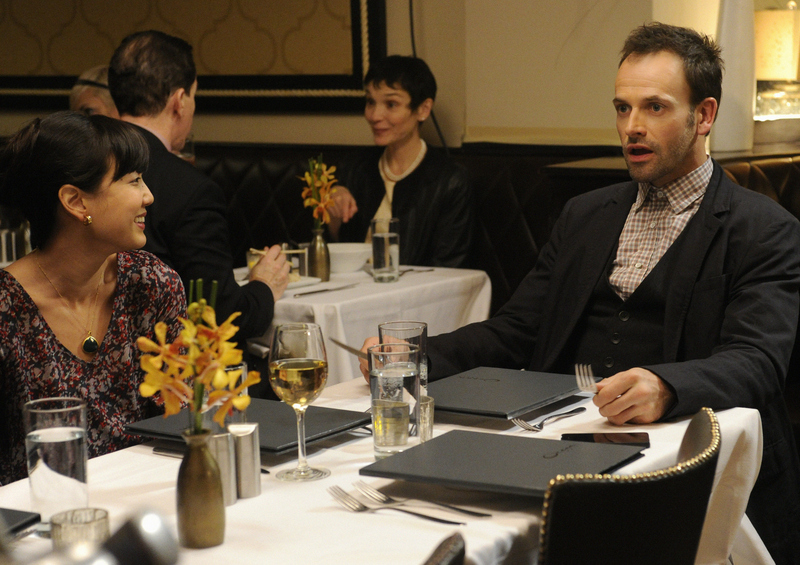 Joan (Lucy Liu) is pleasantly surprised when Sherlock (Jonny Lee Miller) meets her family and defends her choice to become a sober companion. Also pictured are Freda Foh Shen as Mary Watson, Stephen Park as Oren Watson. Photo: Jeffrey Neira/CBS ©2012 CBS Broadcasting, Inc. All Rights Reserved.